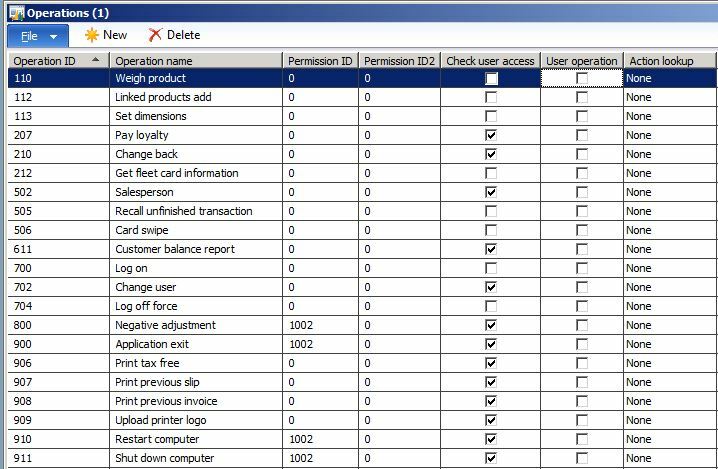 There are several POS Operations which not visible by default. 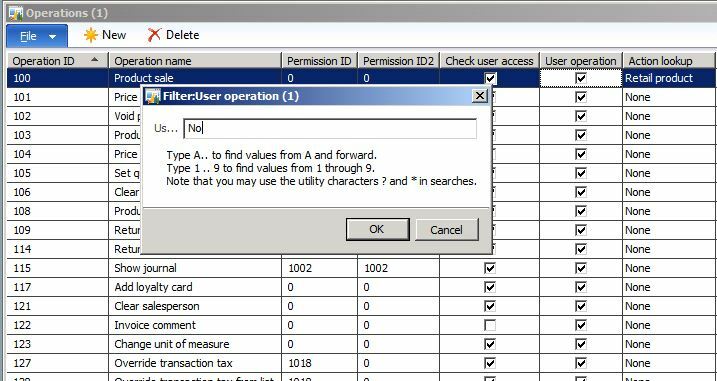 The form Operations (Retail – POS – Operations) has a default filter, so that only records where “User Operation” is marked are shown. Now you see all operations which are hidden by Default and can attach them to Permission IDs.